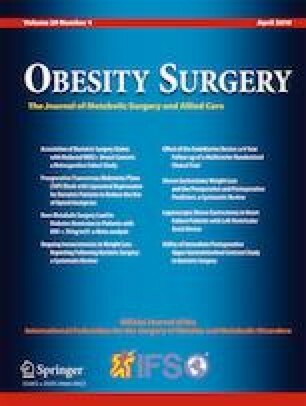 This is a retrospective cohort analysis on 671 super-obese patients operated in a 10-year period. Patients were classified into three groups: (1) 155 patients; roux limb 150 cm, BP-limb 60 cm; (2) 230 patients; roux limb 60 cm, BP-limb 200 cm; and (3) 286 patients; roux limb 150 cm, BP-limb 200 cm. EWL, TWL, BMI, failure, weight regain, comorbidity resolution, nutritional status, and complications were assessed. Total alimentary limb length was shortened with 60 cm in group 1 and with 200 cm in groups 2 and 3. EWL, BMI change, and TWL were higher in the 2-m BP-limb groups vs group 1. No differences in complication rates were found, except higher frequency of marginal ulcers in patients with a shorter roux limb. EWL failure was higher in group 1 (10.3%) vs the other groups (4.3%; 5.2%). Group 3 had significantly less weight regain (26.6%). Remission of comorbidities was higher in the 2-m BP-limb groups at expense of nutritional and vitamin deficiencies (3.9%; 5.9%). No difference in hypoalbuminemia was noted. Lengthening of the BP-limb gives significantly higher weight loss, lower rate of EWL failure, and lesser weight regain along with better resolution of obesity-associated comorbidities. The authors have no commercial or financial associations that might be of conflict of interest in relation to this article.